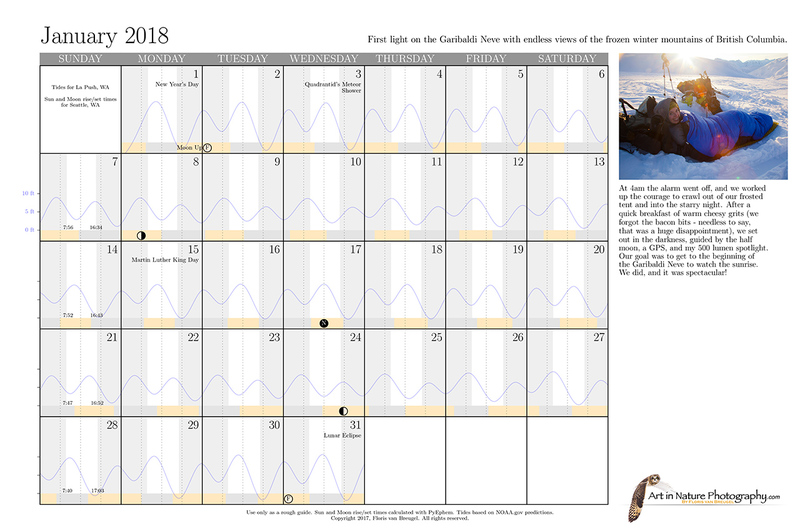 This calendar features Sun and Moon rise and set times for Seattle, WA, and tide charts for La Push, WA (Olympic Peninsula) for convenient trip planning. Price: $25 each + shipping. Discounts for larger quantities. International orders, contact me. Sample month layout showing the sun/moon/tide data for Seattle (sun/moon) and La Push (tides).